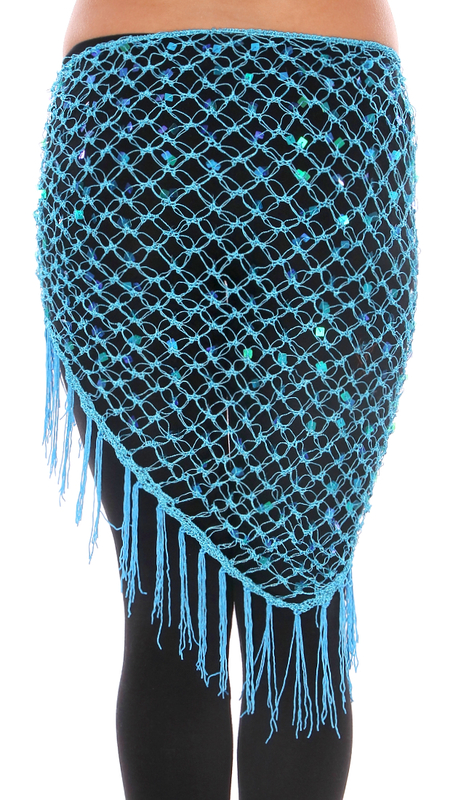 This high-quality crocheted net shawl with shimmering square sequins is ideal for layering with your costume or club wear. 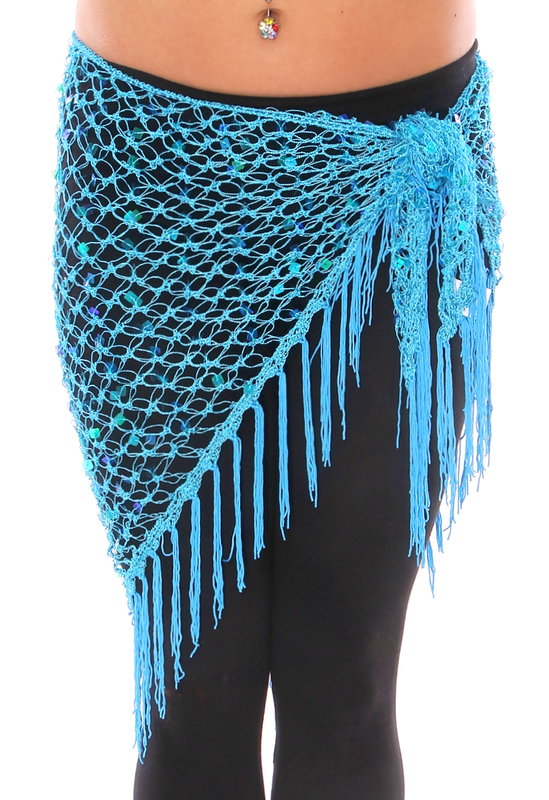 Works great for all styles of Belly Dance, including Egyptian, Cabaret, Tribaret, Tribal, Tribal Fusion, Spanish, Gypsy, and more! 100% rayon. Spot clean only as water may damage sequins. Love my hip scarf, beautiful color so I bought a second one in green and have had many compliments on both. But make sure you tie them tightly as they do tend to slip. I was so happy to see this was a good quality hip scarf. I had purchased a similar one years ago from another vendor and was so disappointed in its quality I ended up getting rid of it. This is the perfect size and the color is stunning. I am thinking of getting another. Hip scarf is a beautiful turquoise. Just enough bling and very light weight and comfortable. This worked out great for my mermaid outfit. Thank you! LOVE!! This scarf is the perfect size and is a very nice color and quality!